Simpson Tacoma Kraft currently stocks close to 55 of TPC’s product offerings and are completely satisfied with the product they produce. TPC Wire & Cable Corp.’s Shielded Cables, featuring Chem-Gard®sup>, provide a wide range of protection, rated up to 200°C and remaining flexible down to -60°C. With a shielded multi conductor cable from TPC Wire & Cable, you get excellent chemical resistance and excellent service when exposed to extremely harsh chemicals. Chem-Gard eliminates the need for compounds or lubricants when pulling your multi conductor shielded cable through the conduit and the tough jacket will also withstand abrasion and cutting. Designed for use in a variety of industries, including steel, utility, mining, automotive, food and beverage, government, oil and gas, transportation and wood, pulp and paper markets, our shielded cables are long-lasting and dependable. Each multi conductor shielded cable is capable of withstanding exposure to chemicals, constant flexing and extreme temperatures. Our shielded cables effectively reduce electrical noise, leaving the electrical signals unaffected and reducing electromagnetic radiation. The rest of your electrical equipment will be protected from interference and your cable insulation and workers will be effectively protected from electrical shock. 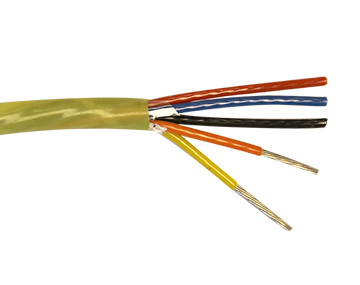 Additionally, each shielded multi conductor cable is manufactured to last, offering excellent flex life. 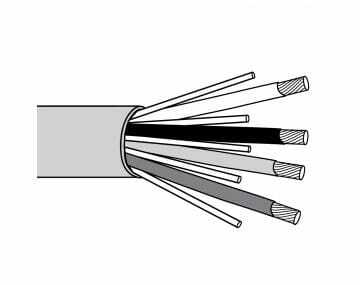 Our shielded cables have been tested to over 1.7 million cycles in cable carrier testing without electrical failure. 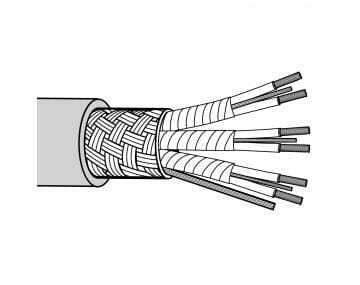 Please click on the image to browse our wide selection of Shielded Cables.